Kodak is attempting to woo photography enthusiasts with its latest smartphone that draws inspiration from its 1940s Ektra camera and packs a powerful shooter. 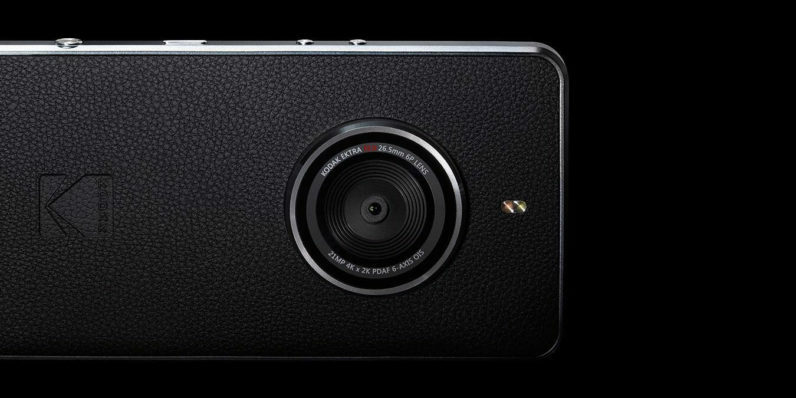 The Ektra – the second phone from Kodak after the 2015 entry-level IM5 – combines the design of a smartphone and a traditional camera with a curved bottom that mimics a camera grip, as well as a leatherette back and a dedicated shutter button on the side. Its most notable feature is a large steel-rimmed f/2.0 aperture 26.5mm lens for its 21-megapixel camera, which is powered by Sony’s IMX230 image sensor and offers optical image stabilization, as well as 4K video capture. Under the hood, the Ektra packs a Helio X-20 deca-core processor that’s paired with 3GB RAM and 32GB of onboard storage. You can add more room with microSD cards. Rounding out the package are a 5-inch 1080p display, a 13-megapixel front camera and a 3,000mAh battery. The device is built by Bullitt, which has previously made smartphones for brands like CAT and JCB. It runs a mostly stock version of Android 6.0 that bundles a custom camera app as well as other tools for photography, like Adobe Lightroom, Snapseed, VSCO and Prisma. In addition, it’ll come with Kodak’s own Prints app that will let soon you order physical prints and photo books of your shots. It’ll be interesting to see if Kodak can draw shutterbugs’ attention away from other mainstream phones that also tout strong photography capabilities, like the Google Pixel and the iPhone 7. The Ektra will be available in Europe for £449 (€499) this December. There’s no plan yet to bring it to the US, but the company told Engadget that it’ll monitor interest to see if it’s worth launching there later on.